Practice makes perfect! 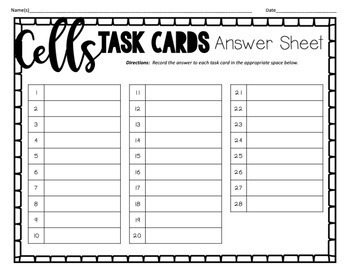 So, our students need to practice. 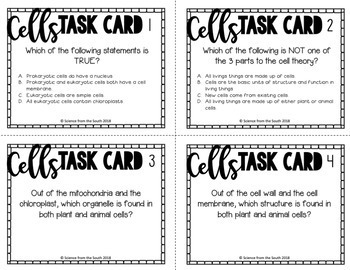 They can practice by using answering questions and completing task to show their understanding of various cell topics. 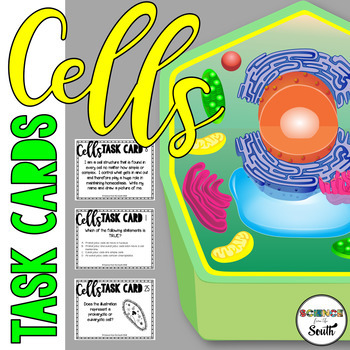 The set of 28 task cards will asses student understanding of the similarities and differences between prokaryotic and eukaryotic cells, cell organelles, plant and animal cells, and the cell theory. Check out the preview! If you have any questions or concerns, please let me know. Be sure to check out my blog Science From The South.